Massage therapy generally focuses mostly on the body from the neck on down. Some neck massage might be included, but it is very rare to find a massage therapist who specializes in excellent neck massage. It is even more rare to find therapists who are able to do a full one hour therapeutic session on the neck which includes relaxation, deep work and neck manipulations. How does Heavenly Head Massage differ from Indian Head Massage? Heavenly Head Massage is done while the client is lying on the back. Indian Head Massage is done with the client sitting on a chair. It is much easier to totally relax while lying down. In this way at the end of the massage the client can remain in a blissful or even trance-like state as long as it takes to come back to regular waking consciousness. Heavenly Head Massage includes a lot more neck work than Indian Head Massage. Our home study massage training course includes enough training on neck work so that you can do an entire hour of exclusive neck therapy. Is Heavenly Head Massage therapeutic or relaxing? The truth is that there is no right answer to this question. Let’s look at some examples to explain this. Did you ever see one of those courtroom TV shows where the prosecutor barks a question at the witness? When the witness tries to explain the circumstances, the prosecutor snaps back “Answer YES or NO.” The poor witness is forced to answer in a way that does not tell the whole story. Continue readingIs Heavenly Head Massage Therapeutic Or Relaxing? Sometimes a light bulb goes on in our heads, and we get a sudden inspiration. That was the case with “Heavenly Head Massage”. One day about 17 years ago that name popped into my head, and I just knew that this was the perfect name. The name actually inspired me to live up to it. I already had a wonderful collection of neck, head and face massage techniques which I was using on my clients, and they loved it. Heavenly Head Massage is a unique massage style which I have developed. This is the story how it came about. It’s a very personal story, and to be able to relate to it, you need to understand where I am coming from. I am primarily a Thai Massage therapist. 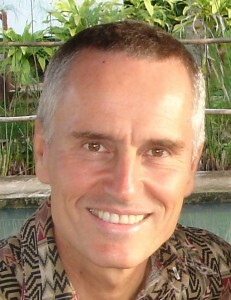 I have been living in Thailand for most of my massage career – almost two decades now. Therefore my experiences and observations are seen through the lens of a Thai Massage therapist.